Sport Court is one of the most trusted court brands in sports – especially volleyball. 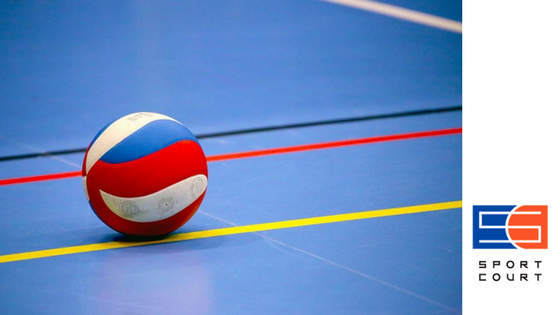 Not only are we the official supplier for USA national teams since 1989, but we have also been the official surface for both USA volleyball and NCAA volleyball for over 20 years! The reason we make such great courts is because we know the game, we know what’s needed to make a high-quality court that is a cut above the rest. While we do what we can to help you play your best game, it’s mainly up to you to practice the skills that will improve your game and ability to use the court to your advantage. Volleyball is about being quick on your feet and having fast reactions. Most movement happens within a 5-step pattern making first step speed mechanics critical to master. This drill will help you maximize your movement on the court. Coaches and trainers agree that strength training isn’t all about building muscles, a large part of it should also be resistance and flexibility work. Many people don’t know it, but lessening the number of bicep curls and increasing resistance or flexibility exercises is far more beneficial to your volleyball game. Quick movements when you go to pass are critical, otherwise you’ll have to adjust your technique on the fly, which means inconsistent passes. The key to phenomenal passing skills is to always be on your toes and in a stance that is prepared to react and move when the ball is in play. volleyball is a game of acceleration. The better your first step speed mechanics are, the better your entire game will be! One of the most effective defensive tactics to master is digging the volleyball. Being mentally prepared and physically ready to dig at all times enables you to dig balls that will stay in play simply by rebounding off of you in the right direction. Increasing your skills to improve your game is what allows you to truly be able to use the volleyball court to your advantage. Sport Court is a well-loved brand by professional volleyball players because we produce high-quality courts. Armed with a Sport Court, these tips, and a passion for the game, you can improve your skills!